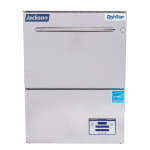 The Jackson DISHSTAR HT-E DishStar® high-temp undercounter dishwasher has simple controls for straightforward operation. The built-in booster heater quickly heats water to sanitary temperatures. Its Sani-Sure™ feature eliminates the worry of water not being properly heated. Up to 27 racks can be cleaned in an hour, with only 0.65 gallons of water used on each rack. 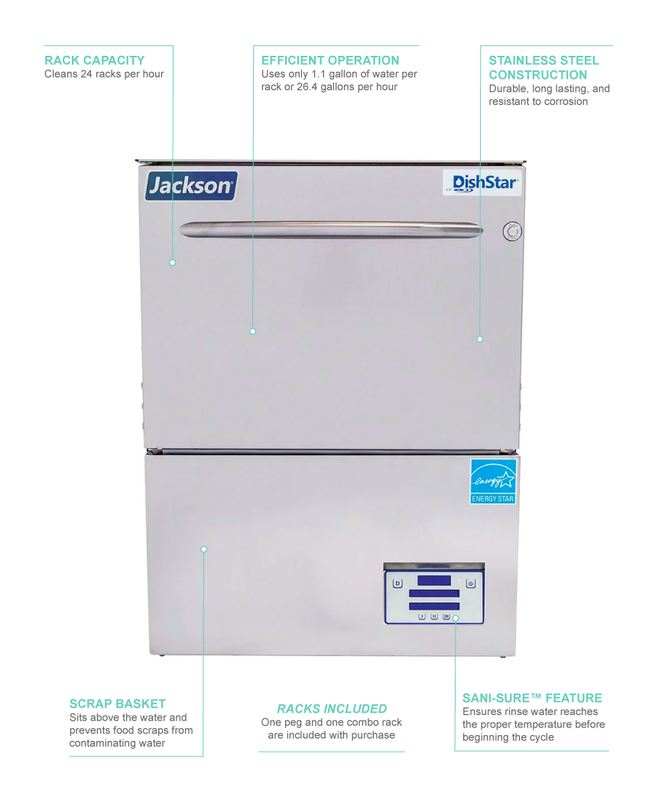 With its deliming cycle, the dishwasher removes hard water deposits. The unit’s stainless steel construction enables it to hold up against commercial use, and it is air insulated to trap heat. Leaks are kept contained by the labyrinth-style doors. Installation is simplified by the attached priming switches and chemical pumps. 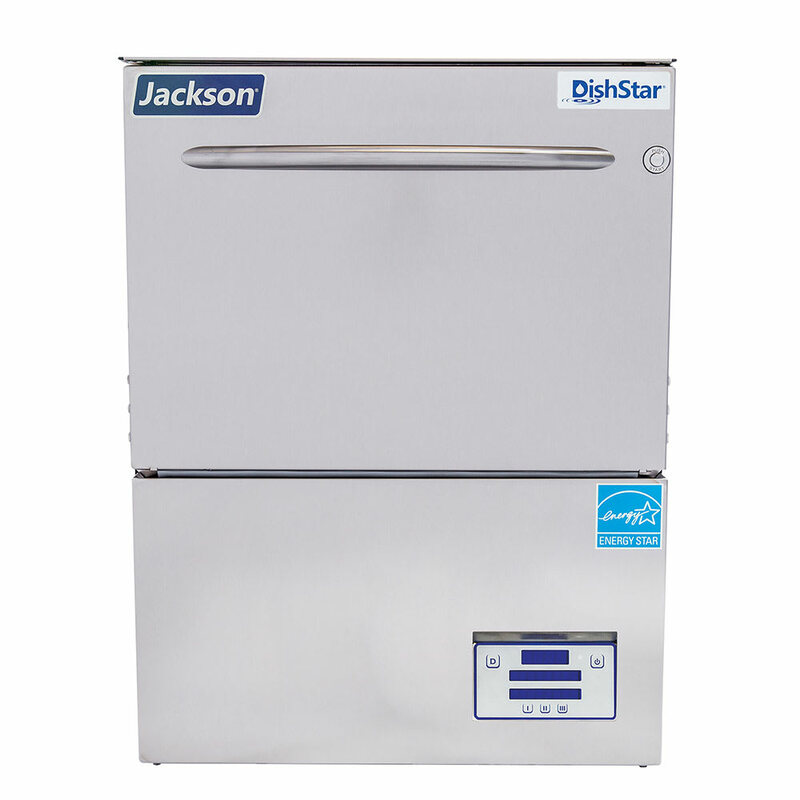 The Jackson DISHSTAR HT-E DishStar high-temp undercounter dishwasher includes a combination rack and peg rack for holding dishes, cups, and other items.